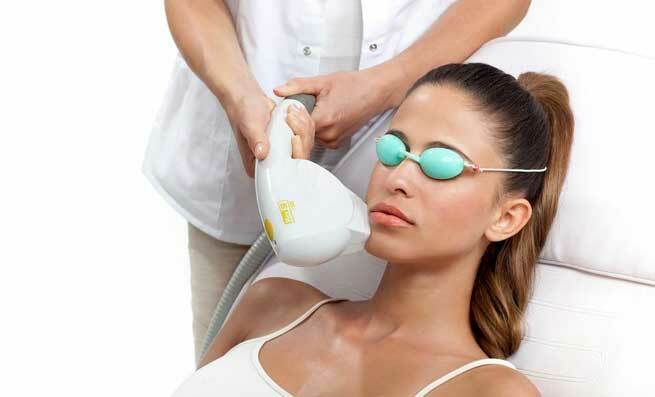 (IPL) Intense Pulsed Light Laser Treatment, Is It Worth Trying? IPL- This means intense pulsed light and this happens to be a popular treatment. It is well known to treat vascular conditions, for instance- broken capillaries (“spider veins”) and the brown spots or “age spots” that is caused by sun damage. Photorejuvenation (IPL- Intense Pulsed Light) laser treatments are basically used as it stimulates the production of collagen, which helps in plumping the skin and to give you a fresh look and it refines or tightens the pores that are large. To lighten and remove the “age spots”, “sun spots”, and brown blotches that are present on the face, chest, neck, hands and other areas of the body. It has very less effect of enhancing the texture of the skin through collagen stimulation and increases the pore size by reducing the oiliness temporarily. Intense Pulsed Light laser treatment usually takes a series of 3-5 sittings and that will happen once in every three to six weeks. The procedure can be done by people who have rosacea, freckles, age mark, spider angiomas, facial lines and wrinkles and also for people who want to get rid of unwanted hair. Avoid this procedure if you are pregnant. The Intense Pulsed Light emits a range of light waves that are tuned as well as targeted at hemoglobin or melanin. This light beam passes through the skin and it is absorbed by the melanin or hemoglobin and it causes damage to the vessel wall causing possible fragmenting of the melanin pigment. The body then absorbs the melanin pigment and the tiny vessels. For the IPL- Intense Pulsed Light laser treatment, you will be taken to the laser room and you will be asked to wear special glasses or eye pads over your eyes. This is to protect the eyes from the beams. Cool gel is placed on the skin that is about to be treated. Then the smooth glass surface of the hand piece is applied to your skin and pulses of light flash is passed through. You might experience slight stingy feeling t that time. Once the treatment is completed, the gel is wiped off and the area is cleaned with a warm cloth. Moisturizer and sunscreen is then applied on the skin. In case if you develop a swelling then you can apply a cold pack on the treated skin for five to ten minutes. Most of the people undergoing this treatment will require at least 3-5 months to get the desired result. Improvement will be quite visible from very first treatment itself however the result will vary from person to person. It completely depends on the skin, if you have more redness and sun damage that many sittings of Intense Pulsed Light laser treatments will be required.